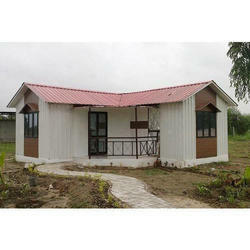 We are offering Room on Terrace The basic benifit is Fast Erection and Flexibility. With the support of our expert team members and sophisticated facilities, we have been able to offer an exclusive assortment of of Prefabricated Labour Hutments Fixtures for our valuable customers at very leading prices. 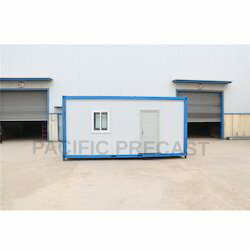 To furnish the diverse requirements of our clients in the best possible manner we are involved in offering an extensive range of Prefabricated Houses. - Farmhouse ready to use. - European design with English colours. - Enjoy comfortably with family. - Size-12 x 28 ft. (Bed- 10 x 12, Toilet with Bath - 5 x 5, Kitchen-7 x 5, Hall-10 x 13) 100 European designs available to choose.